The bottle shown above is the Licorera bottle, a piece of art displaying tequila related photos around the entire bottom, and a stopper filled with one shot to save or give away once the contents are consumed. Clear in color, clean and pure, sweet smells of cooked agave, with mild butter and olives, and a hint of black pepper. This medium body spirit has a mild initial taste, sweet agave and a hint of nuts, turns to a warm grassy finish, with a reminence of olive and lemon in the aftertaste. Slightly thin in the Reidel glass with a silvery metallic sheen. 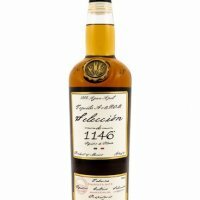 Nose is subdued baked agave with green herbal undertones. With the first sip the agave erupts, leading into a delightfully complex semi-sweet body which offers secondary mild flavours of minerals and licorice. Finishes with light herbals, more mineral, pepper, earth and a finely balanced alcohol presence. I rate this blanco among the best for its lightness on the tongue but with such an exceptionally complex character. Don Valente continues to impress this reviewer! Don Valente blanco is a nice blanco from start to finish. Sort of middle of the road. Not too aggressive, and not too subtle. I like this blanco very much. Aroma: Hints of vanilla, earth, and spices. Initial taste: subtle hints of agave and earth. Body: from initial taste, leading to a fuller agave presence with peppery and creamy tones. Finish: Finish is smooth, very mild alcohol sensation, and medium duration. I liked this blanco. I would put Don Valente Blanco into the middle category of silvers - with the sweet, smooth, mild flavors of a 4 Copas Blanco on one side and the hot, intense agave flavors of a Casa Noble Crystal on the other. Don Valente Blanco finds a happy middle ground and is well balanced. 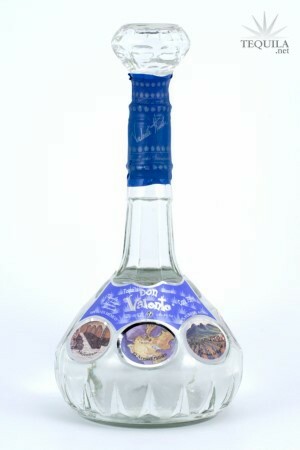 For me, Don Valente Blanco was a bit more complex than I am used to in a silver tequila. It's medium bodied and there are certainly hints of grassiness and pepper to be found. I wouldn't hesitate to put this tequila into the category of "sipper". I'm not sure how well it would mix - and it's probably best not to find out. It's definitely worth trying if you can find it.